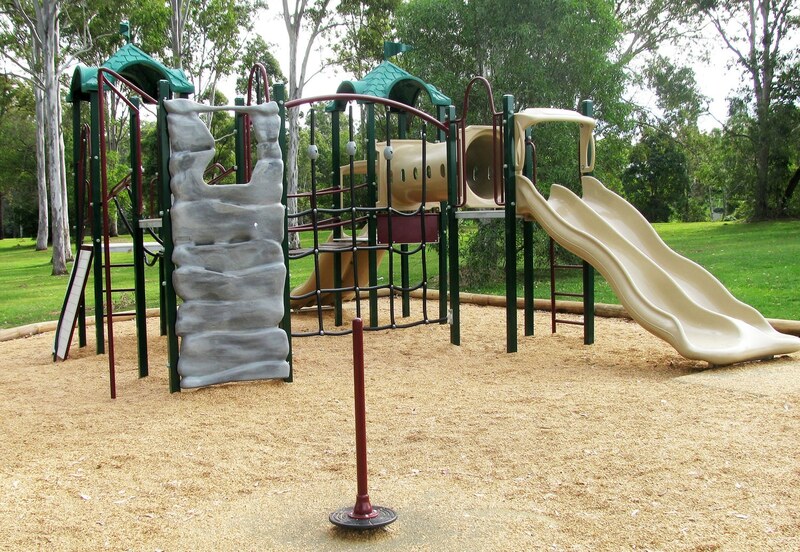 Construction of new playground at Carol Moore Park, Nerang that provided value for money through a compact solution with loads of fun and challenge for different ages. 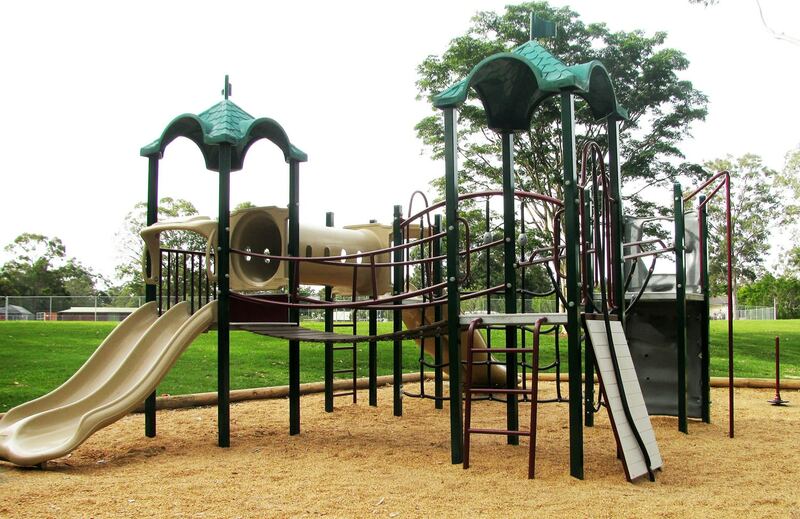 The concept design featured a variety of fixed and flexible play challenges. 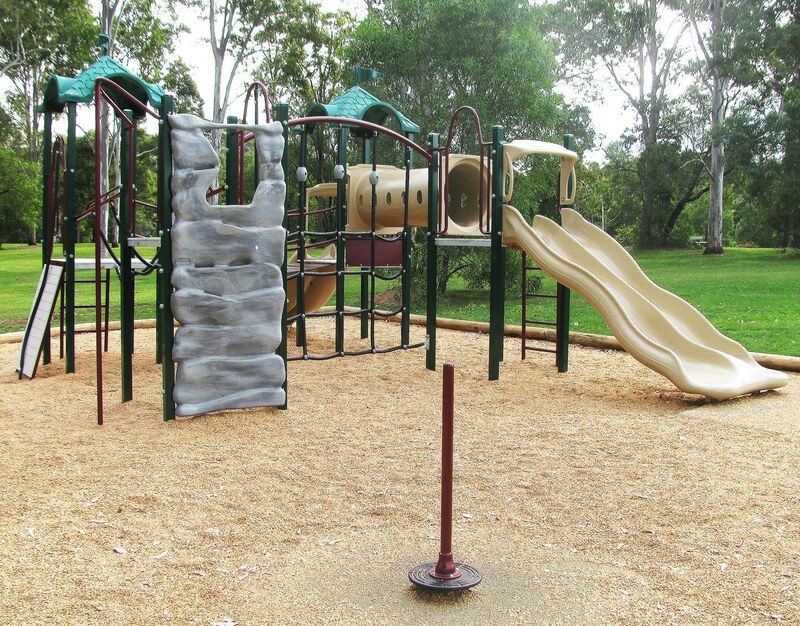 A muted environmental colour palette was chosen to complement, both the surroundings and the existing equipment. 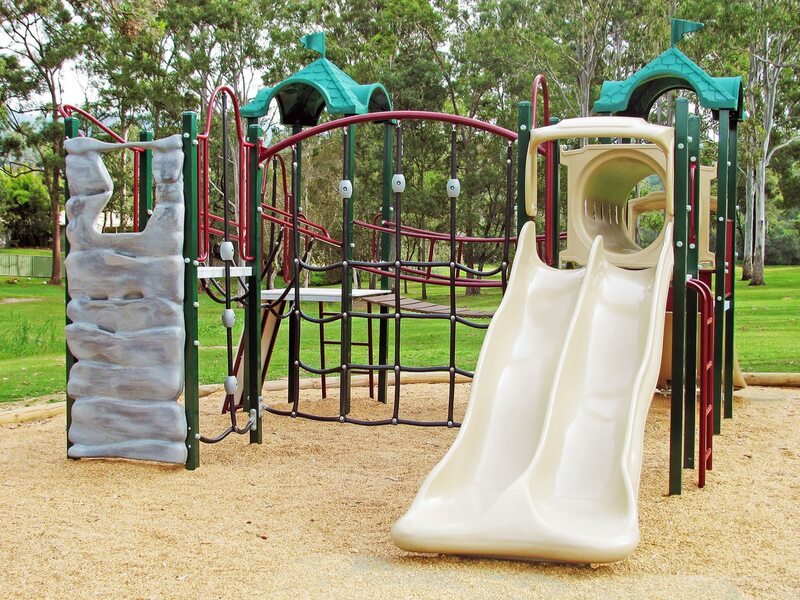 The play solution included a variety of climbing structures which assist to develop all muscle groups and provide a full body workout. Imaginative play is fostered through the inclusion of a bridge, tunnel, rock climbing wall, and climbing nets and ropes. 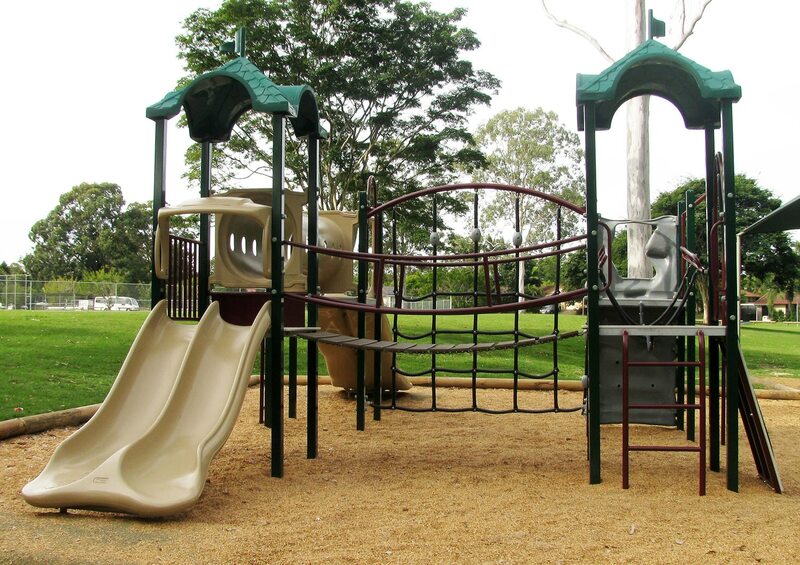 The equipment comprises UV stabilised plastic to provide longevity and durability, withstanding the extreme Queensland summer.